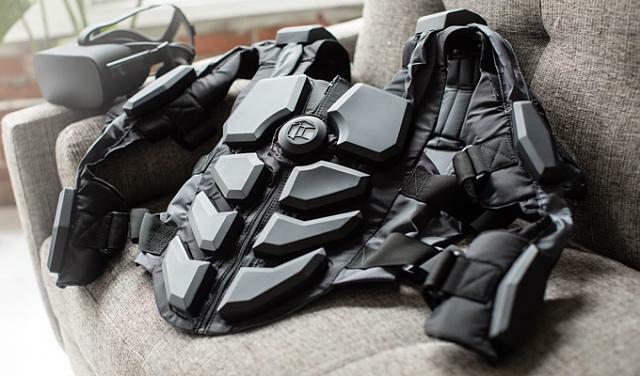 The Hardlight VR suit is crowdfunding on Kickstarter right now and are already at about 70% of their goal. I'd love to have one, but not sure I'd pay $499 US for one. 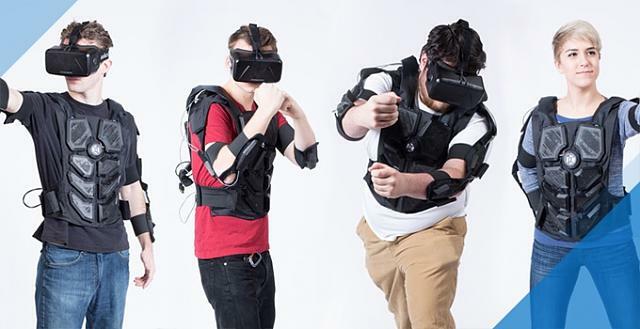 Apparently "all body types" means, "young slim white people"
The VOID VR thing we did up in NYC uses tactile vests like these, and it can really scare you to feel the impact synced up with what you're seeing. This looks like a similar setup, and in no way does it support "all body types" but it's a lot of fun.